(Managing Director) has over 25 years experience within the vending industry at all levels. 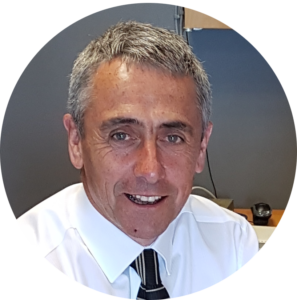 From starting as a Business Bevelopment Manager with Border Vending gained valuable experience working his way through the ranks becoming MD of Coffee Point Group and served 2 years as Scottish Automatic Vending Association Chairman. John started Vending Services Ltd in June 2009 to ensure that levels of service provided could meet his customers expectations and has built a successful business and fantastic team of individualds that care passionately about the business and customer ethos on delivering quality. (Sales Director) has over 25 years- experience within the vending industry, having worked with both regional and national companies gaining an understanding of individuals requirements from the small one-man operation through to major national organisations. With the knowledge and drive to manage the sales and operations process from the first initial meeting through to the managing and running of the account. His experience covers several management roles including sales, customer care and operations and gives him a balanced approach and ensures that we look at each client’s needs individually and base our service on their requirements. We believe that we offer our customers a service that is based on value for money, best practise and a range of services, products and equipment that are the suit their needs. 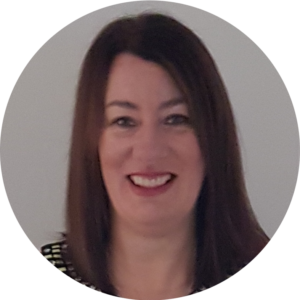 Hilary Nicoll Company Secretary and head of Finance joined Vending Services Ltd in 2010. Hilary had worked in the Finance industry for several years before joining VS Ltd and bringing her knowledge of financial systems and customer care to our company. Her attention to detail and understanding of customer service delivery is paramount to the success and smooth running of the Financial side of the business. Our Managing Director John Bell has many years of experience in the Vending industry and has grown through the ranks of leading national vending companies to Director level as well as being a past chairman of the Automatic Vending Association for Scotland where he gained invaluable experience. The most valuable experience learned over the last 20 years was anyone can provide a vending machine it is how you look after it that matters. 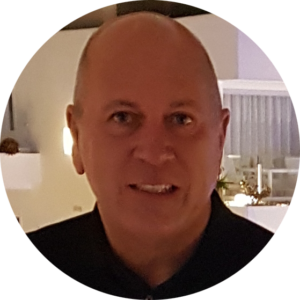 The team supporting you is the company’s best asset and John has recruited the cream of the vending industry to head up Finance, Operations, Technical and Installations. With the best equipment supplied looked after by a dedicated well trained smart operator you start right from day one. It is down to the account being managed pro actively and regular communication between both parties. This is where Vending Services Ltd excel themselves. We start right from day one with a launch of the equipment a “Go Live” experience for all the staff ensuring right from the start the products offered are to your staffs satisfaction and priced at a level expected. Then the real care and attention to detail begins with the machines being fully stocked, properly cleaned and fully maintained as well as being included in our preventative maintenance programme. To ensure menu fatigue does not occur new products are introduced every month together with discounted products to compliment the best sellers. The account is managed by your Operations Manager and all calls are handled by friendly well versed Scottish based staff. Our success is totally down to the individuals that work with us not for us. We have our own exclusive food programme with menus and products created to be vended. Our machines are stocked by our own staff, not a subcontractor, ensuring one accountability through all stages from kitchen to customer. When you call us, we won’t waste your time with lists of telephone menu options, a real person who knows who and where you are takes your call. Response is normally within 4 hours, by a factory trained Engineer or Supervisor. Your quotation from Vending Services Ltd shows all of the charges you have to pay. Our Operation Contract gives you peace of mind for the duration of contract that all parts and labour are covered on all equipment. All staff are fully referenced, uniformed and drive brand new customised vehicles. All our vehicles are fitted with the most up to date tracking systems which allow us to give an exact E.T.A for site visits.